The Meeting Room at the Guthrie Public Library (GPL) is designed to meet informational, educational, cultural, personal and civic needs including activities such as discussion groups, panels, lectures, conferences, baby-showers/juvenile birthday parties and seminars. To be eligible to use the meeting room free of charge any individual, group or organization must be nonprofit. All others will be charged a $10.00 per hour. All groups will be charged a $100.00 refundable deposit. Use of the Library’s Meeting Room does not constitute the GPL or the City of Guthrie’s endorsement of viewpoints expressed by participants in the program. Advertisements or announcements implying such endorsement are not permitted. Commercial uses of the Meeting Room are permitted; this includes solicitations, admission or other charges, money-raising activities, and/or sales. Noise levels from meeting rooms must not disturb library patrons or staff. The Meeting Room must be completely vacated prior to the Library’s closing time. Meetings will not be scheduled before or after Library hours. Exact times may vary due to day of the week. City of Guthrie or GPL programming preempt any other scheduled event. Children must be supervised by an adult at all times. Smoking, alcoholic beverages, open flames, burning incense and lit candles are not allowed. Requests for use of the Meeting Room may be made in person, by telephone or in writing. Requests will be honored on a first-come, first-served basis. To provide an opportunity for all groups/individuals to use the Meeting Room, a group may use the Meeting Room more than once per month and can schedule meetings up to two months in advance. Reservations over two months can be discussed with the Director. Notice of cancellation should be made to the Meeting Room Reservationist as soon as possible. After 30 minutes a group/individual may forfeit its reservation if it fails to appear as scheduled. If a group/individual fails to show for two meetings in a row and does not call to cancel, all future reservations are forfeited until the group/individual calls to reschedule. Group representatives may not enter Library buildings nor will deliveries be accepted before the regular opening time. Group(s)/individual may not assign or transfer their reservations to other groups(s) or individual. An individual library customer or group may, upon request, use the Meeting Room which is not in use until the next group’s/individual’s reservation time. Please contact the Circulation Desk for unscheduled use. Maximum occupancy is 35. The Meeting Rooms is to be returned to its pre-meeting appearance. If furniture is rearranged, it should be returned to the original arrangement at the end of the meeting. The Library can provide AV or other equipment; training will be provided before a scheduled meeting. Personal furniture or equipment may be provided by a group/individual with prior approval. Arrangements for the use of any personal furniture or equipment should be made at scheduling time. In order to ensure easy removal of equipment after the meeting, the appropriate staff member should be notified when the equipment is brought into the building. Equipment, supplies, or personal effects cannot be stored or left in the Library Meeting Room before or after use. Keep the exit unlocked at all times. Open aisles must be maintained within the seating arrangement to provide clear access to exit. Any announcements or notices to publicize an activity should not be posted or distributed on library premises without prior approval from the Director. Food and drink may be consumed in the Meeting Room. All trash resulting from the serving of refreshments must be removed by the organization. The individual making the reservation, as well as the group as a whole, will be held responsible for any and all damages that may occur as a result of the use of the facility. Permission to use the Library Meeting Room may be withheld from group(s) or individual(s) that have failed to comply with the Meeting Room Policy and from any group(s) or individual(s) that damage the room, equipment or furniture or causes a disturbance. 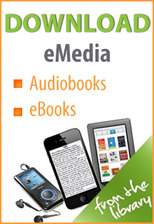 Download ebooks and audios to your favorite ereader or mobile device. Visit OK Virtual Library's Overdrive. Free learning platform online. You can learn anything! Engaging speakers on all kinds of ideas and topics.